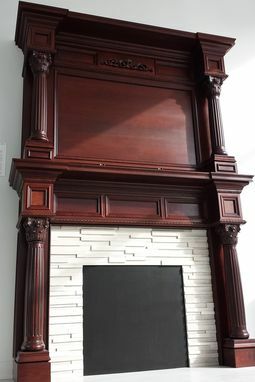 The Indianapolis Fireplace Mantel is a dignified, handsome design that combines many elements including fluted columns, Corinthian capitals, and a series of decorative recessed panels. 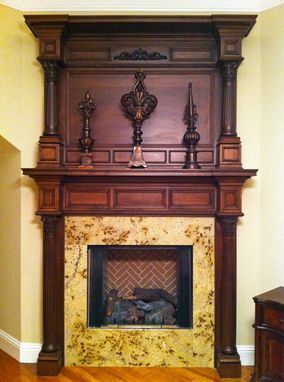 Some definitive features of the Indianapolis Mantel can be seen along the bottommost and topmost edges of the header. At the bottom runs a nicely textured moulding (the same as used in the Carlisle Mantel). 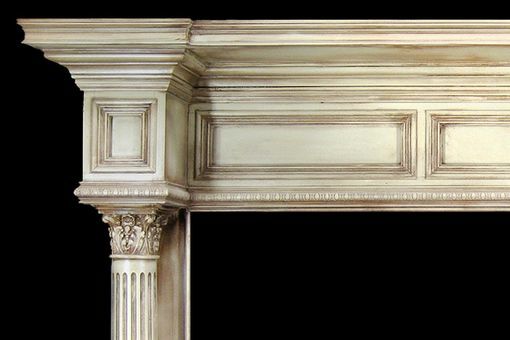 Then, at the top of the header we see the shelf depth change as a visual extension of the crown moulding cornice below. 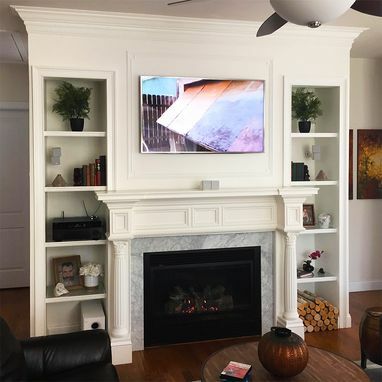 The Indianapolis Mantel is a nice blend of both circular and linear elements. In order to modernize the Indianapolis, consider removing the fluting in the columns or the Corinthian capitals. 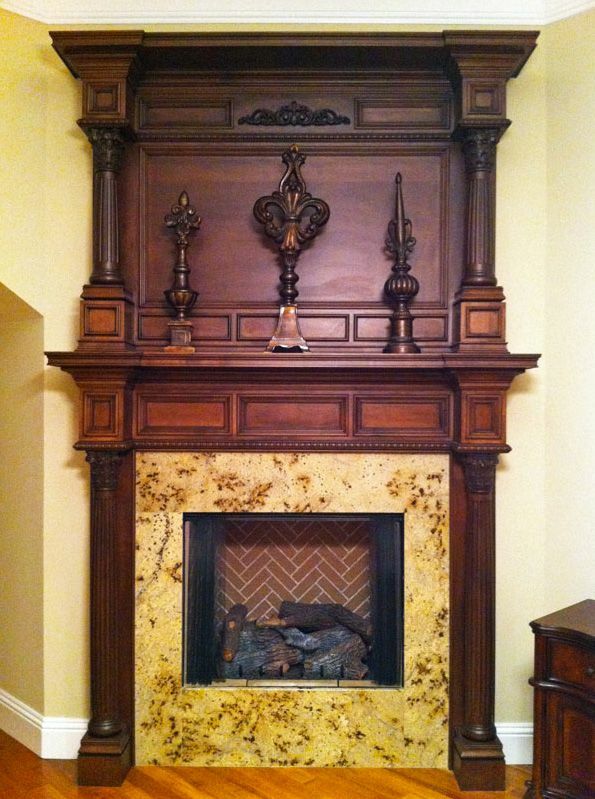 Also, you could exchange a column altogether with a recessed panel leg similar to that found on the Blaine Mantel.